Everyone knows that for any guided tour experience, your guide is the backbone of the whole tour. You could be trekking through Paris or New York City or the Galapagos or anywhere in the world on a guided tour but if your tour guide is not friendly, helpful, and fun you will likely not enjoy your time there. 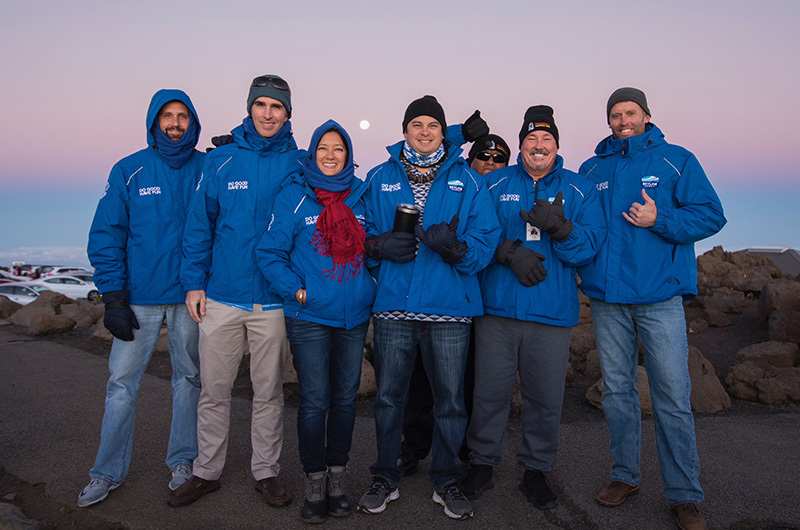 Seeing the sunrise on the top of Haleakala is the top activity that you can’t miss while you are on Maui and the Road to Hana is another adventure that people rave about. But these incredible adventures are made even better when you have incredible and knowledgeable guides who get you where you are going and teach you about Maui along the way. Without our guides, it would not be possible to offer the 5-star experience that we have for our guests. 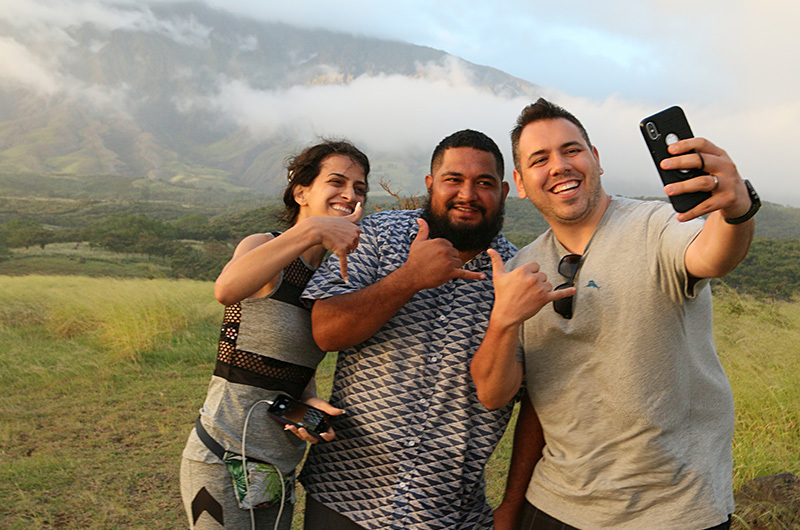 People who choose to tour Maui with us always have a great time because the best part is always the people you enjoy the adventure with and the guides who take you every step of the way. When you are exploring with a great group of people, the positive energy is contagious; you won’t ever want the day to end. We have over tons of reviews on TripAdvisor that rave about how incredible our guides are and we are so proud of that fact! Guests are treated to great experiences with Hawaii’s best guide team. 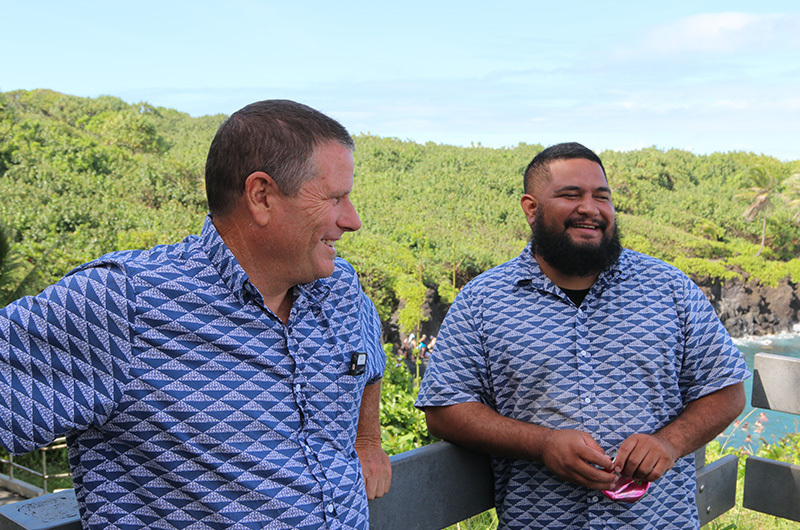 Even on our latest and greatest tour addition, the Road to Hana tour, everyone raves about how amazing our guides are. We have been named one of Hawaii’s Best Places to Work for seven years running, it is Skyline’s staff that make each experience unforgettable. They take great care of each guest and keep everyone laughing throughout the adventure. Our team meets incredible people from all over the world, tells stories, makes jokes and smile all day long. When you join us, you will experience a guided narrative and you will be able to ask any questions you have about our island. We will teach you about the history of Haleakalā National Park or the Road to Hana, flora, fauna, and cultural significance of the area. All of our tour guides are National Association for Interpretation certified which means we are certified to teach you about Hawaiian heritage. For zipline tours, our guides complete a minimum of 80 hours of training which includes first aid, CPR & AED certification from the American Red Cross. As part of this training, we make sure our company’s values are ingrained in every step of the process- every time we hire a new team member we offer a paid service day to our entire team to participate in. We travel around the islands and conduct beach cleanups. For our driving tours like our Haleakala National Park tours and Road to Hana tours, our guides pick you up right at your hotel. So you don’t have to worry about navigating the windy roads on Maui. For our zipline tours, we have set the industry standard in zipline safety. In fact, we have had over 3 million zipline crossings! We offer family-friendly tour experiences on Maui and invite people of all ages to join us on our adventures. Our guides thoroughly inspect every single zipline, trail, platform, and piece of equipment for every course every day. In addition to these thorough daily inspections, we bring an accredited ACCT inspector to each course to conduct a comprehensive review of all of our lines, equipment, courses, and current practices. Our company is built on the pillars of Do Good. Have Fun. Those pillars are conservation, community, and culture. 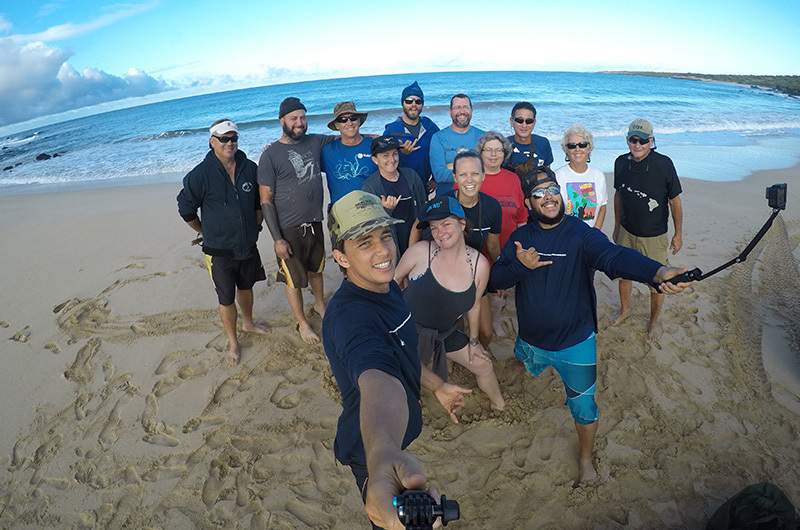 In addition to the paid service say we take part in every time we hire a new team member, we also offer paid service days that people can take to contribute to causes that are near and dear to them like cleaning up in Lahaina after the natural disasters that recently happened there. We also organize company-wide paid service days that happen every quarter. We learn a lot about our fragile island and the flora and fauna that call this place home through these service days. Then, we are able to share that valuable knowledge with our guests so they can choose to help preserve our islands as well. Join us on a guided tour next time you are visiting Maui to see what we are all about.